Ronimo Games Forum • View topic - any updates coming? Post subject: Re: any updates coming? You missed "an actual reason for veteran players to play." That's because veteran players don't matter. That's because [the most dedicated part of the playerbase that makes most of the content] doesn't matter. Xelrog's entitled to hold their opinion. It's the wrong opinion—and demonstrably so at that—but by god, it's unique. 1) If they have a large playerbase, to keep it. We don't have that. 2) To encourage existing players to spread positive word about the product to others, thereby growing the game. That positive word isn't happening, so why should Ronimo waste time and effort on something that won't benefit them in any way? The only way veteran players as a whole will be happy is for the game as a whole to improve, and the one and only way, bar none, for the game experience to improve is to get more players. The only way for that to happen is to get new players and keep them. 'Tis a far better gift Ronimo could give me as a veteran player to successfully save the game by means of player retention instead of try in futility to appeal to a bunch of salty ingrates. Besides all of that, anyone capable of quitting Awesomenauts has already done so. The ones still playing aren't going anywhere no matter how they're treated. Absolutely 100% of effort in the game should be directed towards getting new players, and only new players. When that core issue of playerbase is addressed, then and only then can attention afford to be diverted to veterans, who will already have received the most valuable gift of an actual playerbase to play with. But no, you're right. Hats are more important than people playing the game. Right now whenever I see 5-6 minutes timer I just quit Awesomenauts. I just don't have the patience anymore to wait that long. 6 minutes of waiting for a 20-25 minutes match, that's 1/4-1/3 spent waiting. 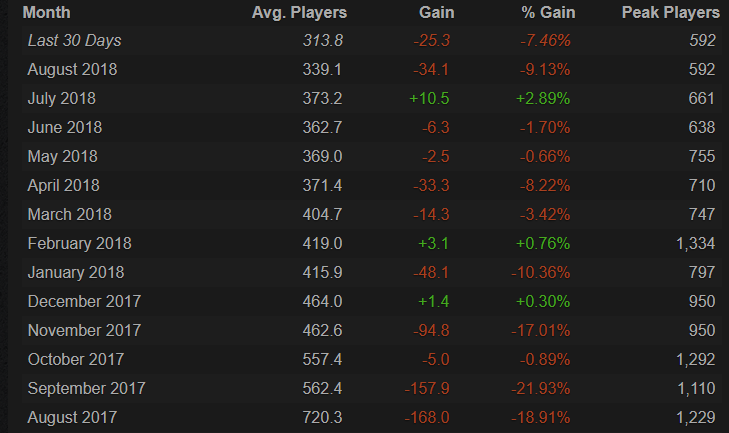 This is the most major reason for me to not play Awesomenauts that much anymore. All the rest is more or less fine. This is sadly true for me, especially if I'm solo queue. Why wait this long for a fifteen ish minute match in Nauts when I can get a 3 minute queue in League or something and immediately get to the gameplay? Unless it's a Brawl I enjoy or I'm playing with friends, I don't see myself putting in the patience. Besides all of that, anyone capable of quitting Awesomenauts has already done so. The ones still playing aren't going anywhere no matter how they're treated. I wouldn't call losing 5% of your playerbase every month "not going anywhere". If people are quitting you have a player retention problem. Not calling anyone out specifically, but how sad must one's life be that they come to an esoteric video game forum almost every day just to complain bitterly about the game? Sorry but you can't keep a game running on newbies alone because newbies are a finite resource. You can't sell all your lambs to the slaughterhouse because eventually the adult sheep will stop screwing and you won't have any new sheep to keep screwing.